A USD 70/000/000 restoration transformed this historic and literary legend to its original stature as New Orleans* Grand Dame. AAA awarded this family owned and operated Hotel four diamond status. 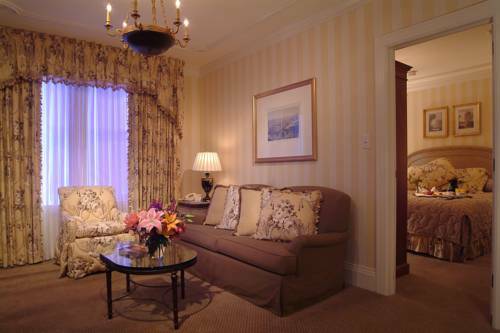 All rooms have marble and granite baths/ raised ceilings and ornamental moldings enhance the French Quarter ambience. Spa Aria/ rooftop swimming pool and exercise facility/ one restaurant and the Carousel Bar ensure your stay will be a relaxing one. Located on world famous Royal Street in the heart of the French Quarter/ Hotel Monteleone is your gateway to New Orleans/ just a block from the sights and sounds of Bourbon Street and Canal Street. Many of the great things to see and do are within walking distance/including the convention center/ shopping/ Mississippi River and the Central Business District.